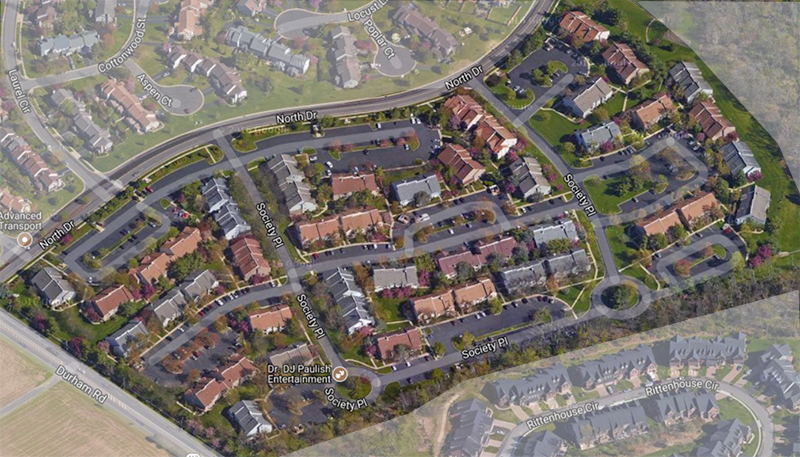 Society Place is that area comprised of 376 Newtown Grant condominium flats located on Society Place in Newtown Township, Bucks County, PA. Access to this sub-neighborhood is from North Drive onto Society Place. There are 30 building clusters in Society Place. These townhomes were built primarily in 1987. Units are first or second floor (some 2nd floor units have a 3rd-level loft. Typical units range from approximately 800 to 2,000 sq. ft. The condos have 1 to 2 bedrooms with 1 to 2 baths. Some loft units used as 3rd bedroom.